In the social and political history of England, the period between 1714 to 1830 is often called the Georgian Era. It is because these years mark the reign of King George I, followed by King George II, III and IV. This time period is often considered to be the gateway of transition for English society because of its rapid developments in many areas of economy and science. The Georgian Era was also a time period of great social gap between the wealthy and the poor. As a result of his, social behavior and approval were some of the major areas that the people of this time concentrated on. This resulted in a long list of norms of social etiquettes that people used to follow at that time, which were taken very seriously by everyone in society. 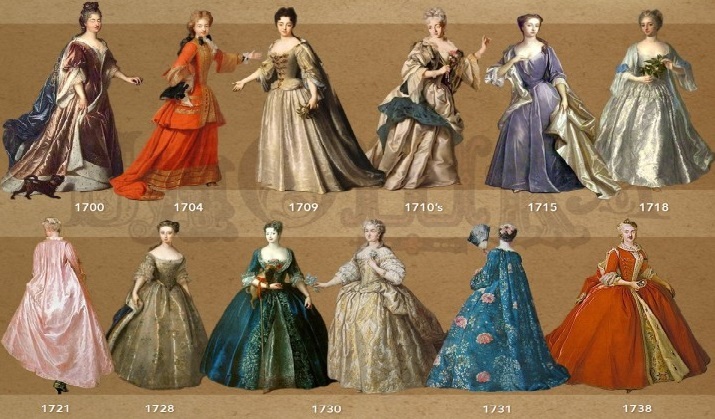 Dressing, during the Georgian times, had evolved massively to become highly complex. Especially for women, there were strict dressing rules that were supposed to be followed in order to gain social approval during those times. There was separate dressing for the various times of the day that was strictly followed, specifically by the gentry. In the morning, women were seen in a nightgown with an overcoat. It was supposed to be replaced by a formal dress of light color during the day and after sunset, darker colors were preferred. There were strict rules for wearing jewelry as well- like it was not considered appropriate to wear diamonds or pearls during the day. For men, the dressing was not that complex. However, they still had to maintain a dressing routine while attending public events. Men were supposed to be dressed formally during all public appearances. Wearing an overcoat with trousers was mandatory. All the pieces of their garments should be well in places and accessories like belts were compulsory to keep the clothing in place. Men who held high official ranks in the army were supposed to appear in uniforms, but only at certain highly particular events. However, the rules of dressing for men were not very strict and even a violation of these rules was not seen as a stigma. The interaction between men and women during the Georgian Era was highly limited. It means that the rules of public behavior were very strict and people of both the genders were supposed to follow them. While making an appearance at any public place, women were supposed to be attended by a chaperone at all times. they were supposed to maintain an erect posture while in public, sitting or standing and walking had to be graceful with a pace that is neither too slow, nor fast. 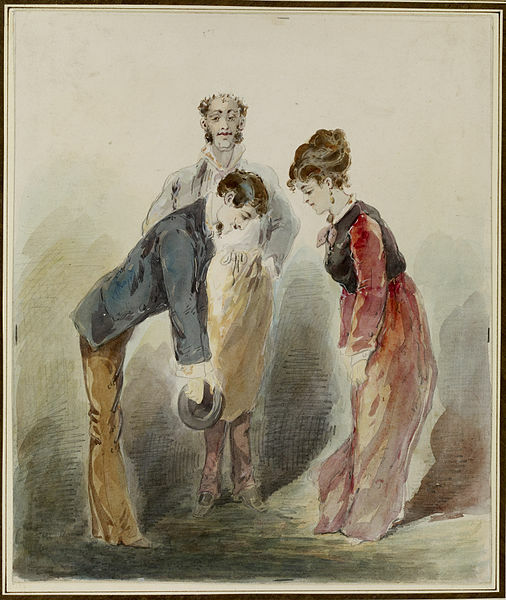 If women used to see someone who they knew in public, they had to acknowledge their presence with a mild bow. In return, the man was responsible for lifting their hat with the hand that was farthest from the woman, briefly, and putting it back. A man was never supposed to greet a woman before she has greeted him and none of them would stop walking in order to do that. 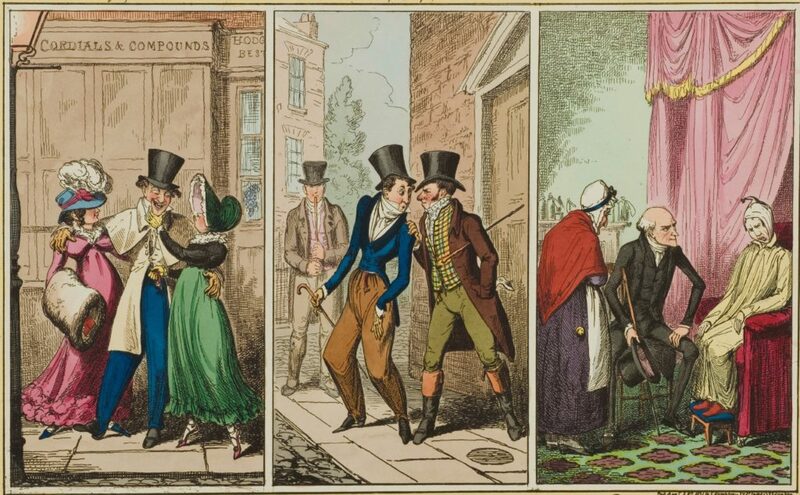 If a man had to talk to a woman while on the street, he was supposed to walk in her direction as talking while standing on the streets was not considered worthy of the gentry. When men and women used to walk together, physical contact was not allowed between them. Men could offer their hand to women while they were getting out of a carriage or passing a large obstacle. While walking, the woman could hold the man’s arm for support but only if they knew each other very well. It was considered bad to ignore a man in public. When it was done, it was considered that the woman has cut off all social ties with them and there has to be a very strong reason for that. For women, it was formidable to make an extensive display of emotion. Laughing, speaking or crying loudly was unacceptable in any situation. women were also supposed to give a strong reaction when they hear something of evil or sexual nature and were discouraged from engaging in such conversations with people. However, when a woman had to display a lack of interest, they often used to be cold while remaining polite. In extreme cases, fainting or hysteria were the favorite tools of women. Needless to state, activities, like blowing nose, picking teeth, scratching, biting nails, were unacceptable for everyone and at all places. Ballrooms were an important part of the social culture of Georgian England as these were the only places where men and women could pursue each other in a romantic manner. Hence, these events were closely monitored and it was important to follow the norms of behavior for both the genders. Dancing with a man was considered as a response from the lady for his advances. However, there were a number of regulations that were observed while choosing a partner for a dance. For men, they could only ask a woman for a dance only when they have been introduced formally through a common acquaintance. For women, it was considered impolite to reject someone if he asks for a dance, but choosing the same partner more than twice was not good unless the woman has a special romantic interest in the man. Ballroom gatherings also involved men and women eating on the same table, which means that there were clear rules that were laid for eating in a group. Men could pour wine to women who are sitting next to them, but asking a neighbor to pass a dish that was far away on the table was not considered good manners. Man servants used to attend tables at all times for these purposes and women were not allowed to help themselves at all. the food was supposed to be eaten with spoons and forks, with the help of a knife. However, some food items were eaten by hands only. Women were supposed to keep their napkin on their lap while men tucked it in their collars. These rules were common to all and children were used to be trained in them from an early age.